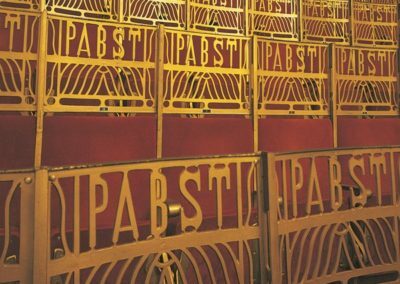 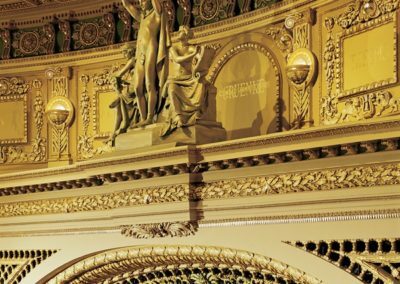 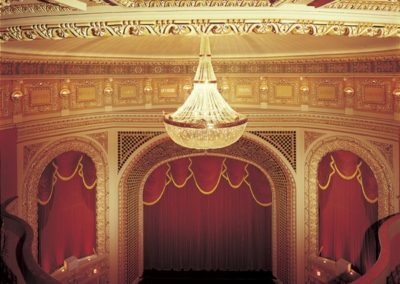 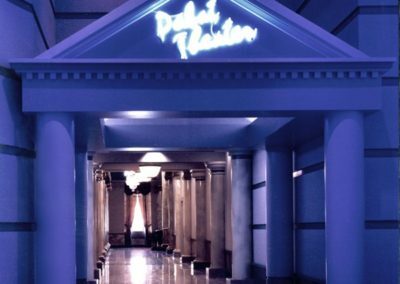 Milwaukee’s Pabst Theater and Conrad Schmitt Studios have shared a long, fruitful history in decorating and preserving the theater. 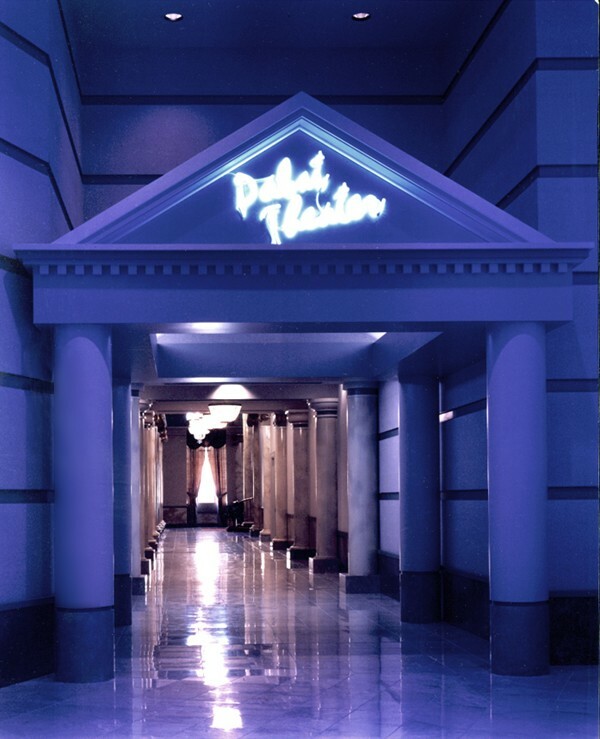 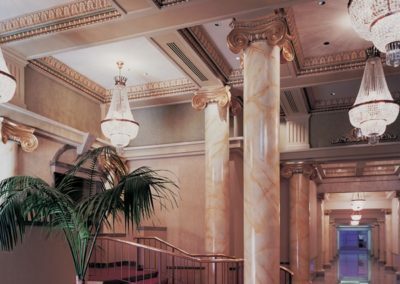 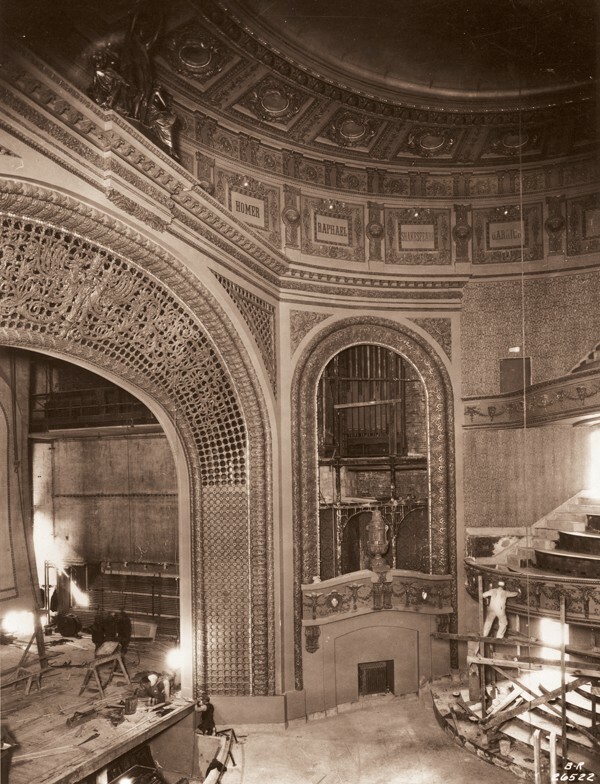 In 1928, when thirty years of wear had taken their toll, the Studio provided the theater’s first renovation, in the then-popular Art Deco style, which gave the theater a new look for the Jazz Age. 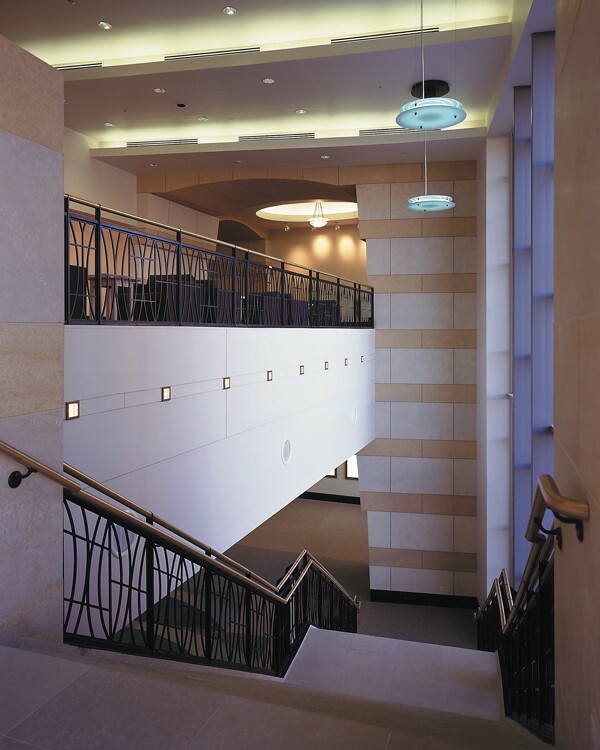 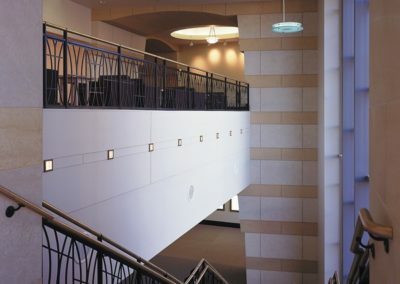 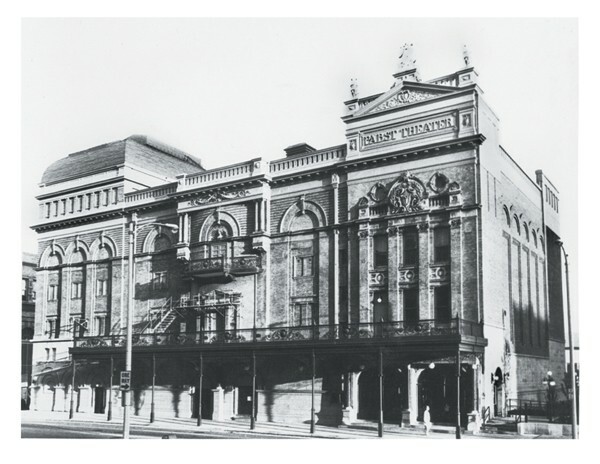 It was nearly 40 years later, in 1967, when the City of Milwaukee, Wisconsin asked the Studio to create a restoration and re-use plan for the aged landmark, which had been upstaged by the newer Performing Arts Center nearby. 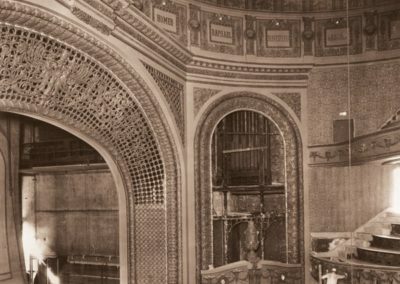 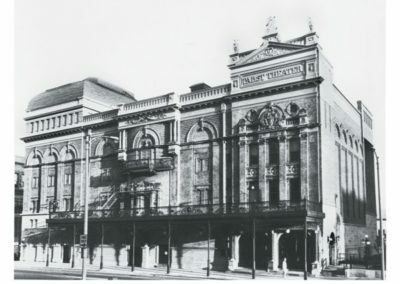 Bernard E. Gruenke, Jr., President of Conrad Schmitt Studios, recommended that the theater be restored to its original appearance, which would be more authentic and historically appropriate. 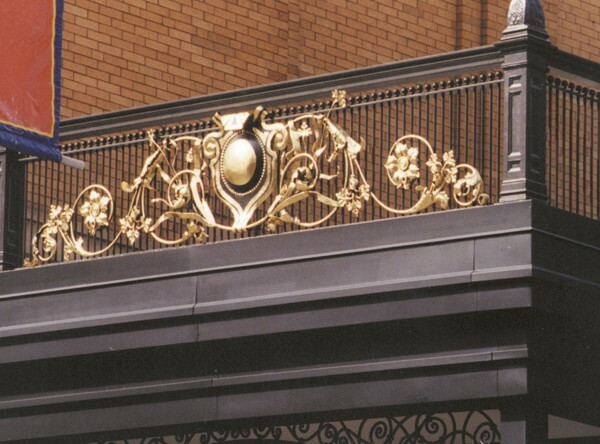 To offset the restoration’s cost, partial funding was obtained from a federal city beautification program. 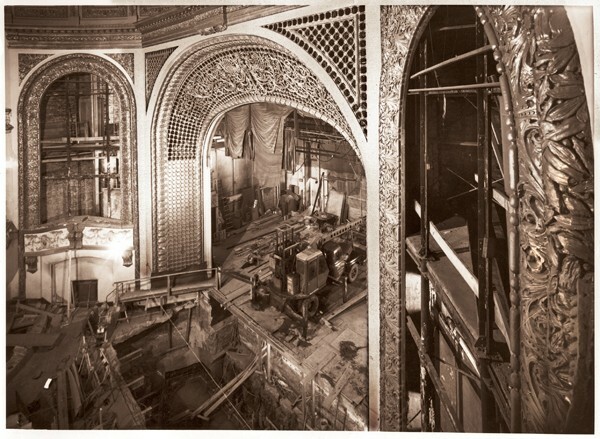 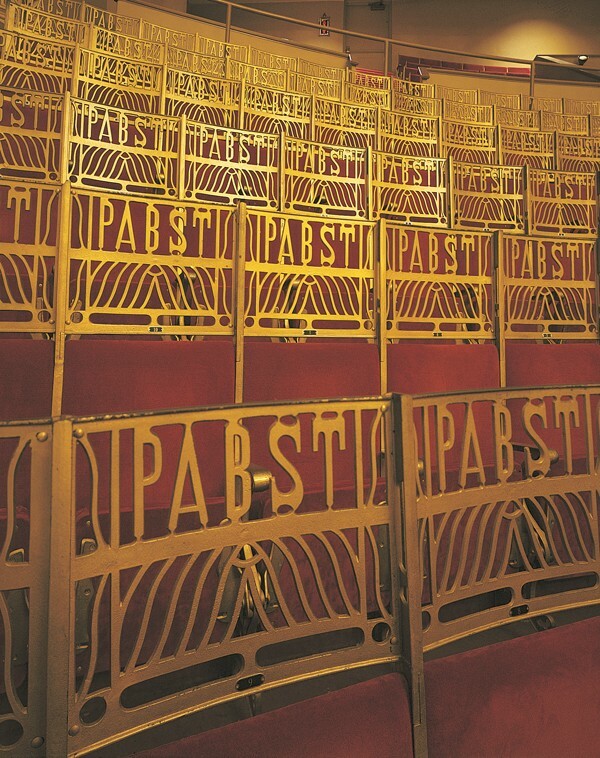 In 1975, Conrad Schmitt Studios artisans embarked on the historical analysis and restoration of the Pabst Theater, which became a model throughout the country for “Save the Theatre” projects. 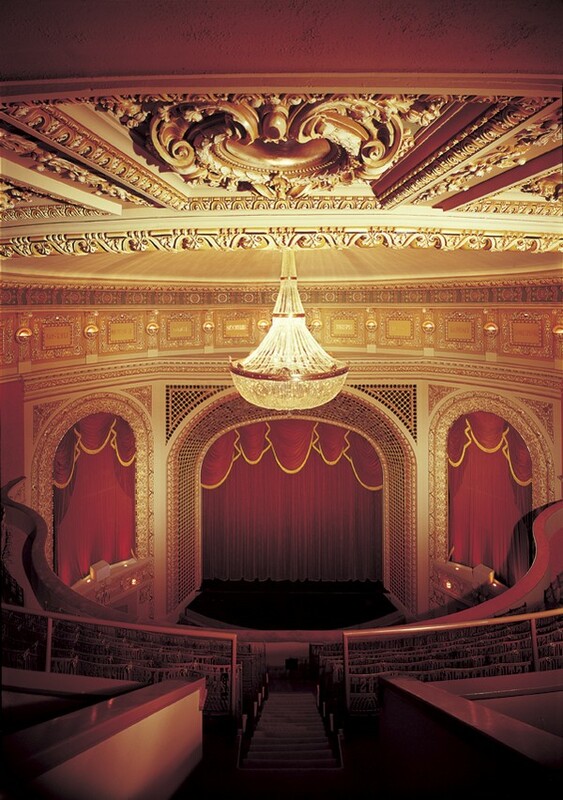 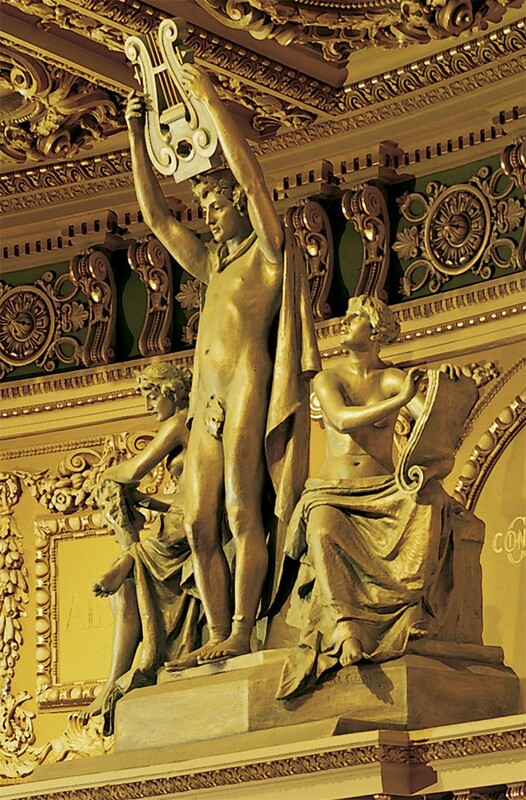 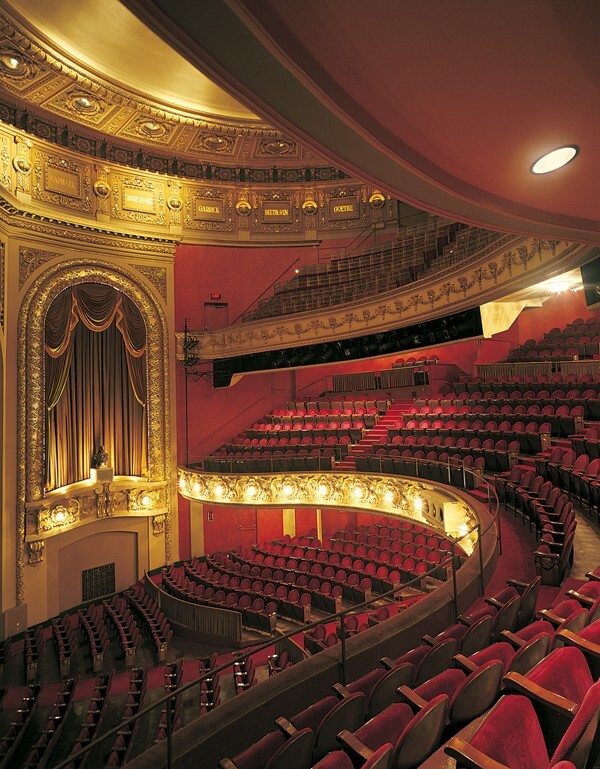 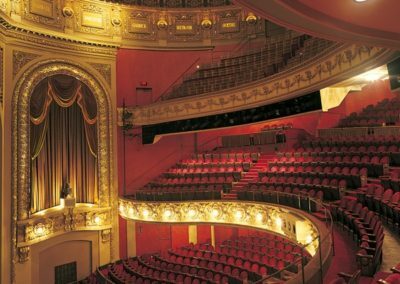 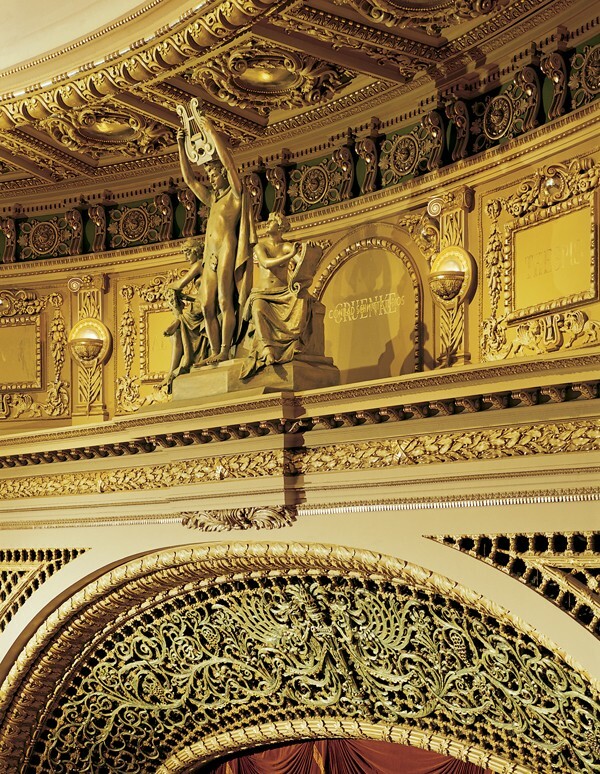 The Pabst Theater is a monument to the value of preserving a city’s priceless past. 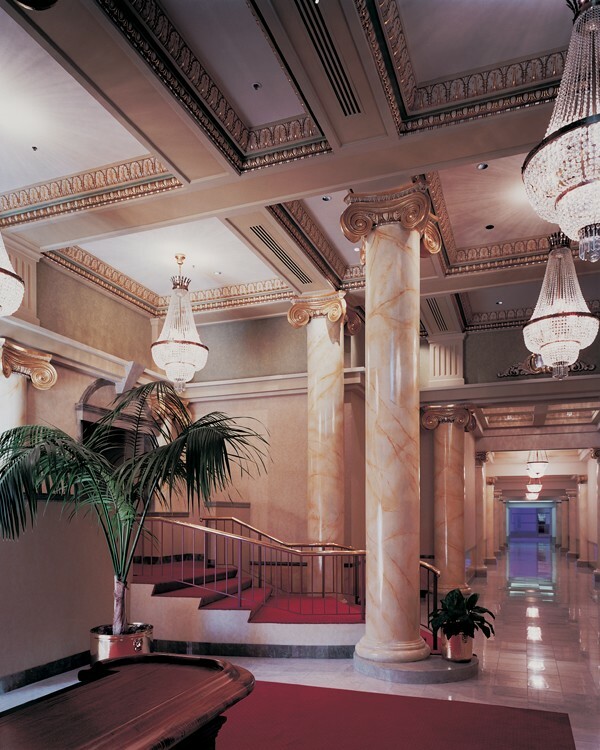 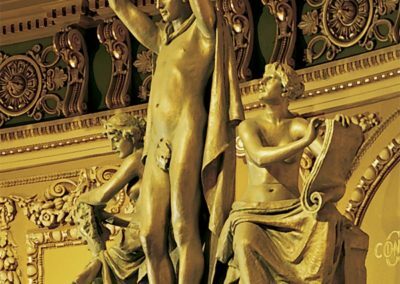 Its turn-of-the-century style and opulent decor tell the story of another era, when Milwaukee’s beer barons were patrons of the city, and old world craftsmen put their finest skill to work in their new homeland. The legacy of their artistry has been carried on by Conrad Schmitt Studios, where the knowledge of old world craft has been preserved and advanced by our artisans since 1889.